Story by Shane Dowling of Kangaroo Court of Australia. Former Australian Federal Police officer Ross Fusca has instituted proceedings in the Federal Court of Australia against the AFP under the Fair Work Act. As part of his evidence he alleges he was offered a promotion if he shut down the enquiry into the AWB oil-for-food scandal which he headed up when he was employed at the AFP. It is set down for another directions hearing on the 16th August 2012 before Justice Susan Kenny in Melbourne. Irrespective of Mr Fusca’s claims there is more than enough evidence to show a cover-up happened by the Federal Police and we will look at some of that evidence. Ross Fusca’s case was reported on by the ABC’s 7.30 Report and The Age last month but they left out two key factors. 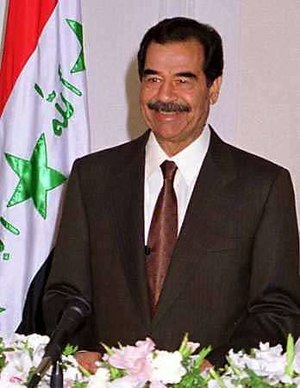 The first and most important is that AWB admitted they knew that they were bribing Saddam Hussein and the Iraq Government. This admission was made during the course of civil proceedings against AWB by its shareholders in February 2010. The second, and this might not seem much, is that the former head of the AFP Mick Keelty closed down the AFP’s inquiry literally a few days before he retired and the new AFP Commissioner Tony Negus took over. I remember when it happened I thought to myself that Keelty is clearing out the dirty laundry so Negus would not have to take the heat at a later stage if it did blow up again. Given that it is the biggest bribery scandal to hit the country he should have left it to Tony Negus to deal with. This entry was posted in News Archive and tagged AFP, Agence France-Presse, Australian Federal Police, AWB Limited, Federal Court of Australia, Oil-for-Food Programme, Saddam Hussein, Tony Negus by renaissancelearningfoundation. Bookmark the permalink.